Participate in evolation yoga training in any of our 26 locations. You will experience a world class curriculum focused on posture alignment, yoga philosophy, meditation, and the art of teaching in order to inspire. Before you graduate, we guarantee that you will gain experience teaching the entirety of a class by yourself. Evolation yoga is an inclusive collective of teachers, students, and studios. Our trainings are designed to help you undergo a physical, mental and emotional transformation as you become a fully certified yoga teacher or significantly deepen your own practice. 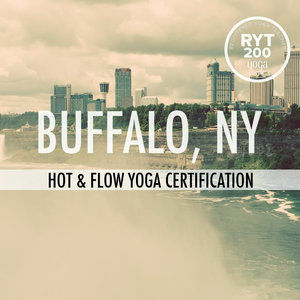 We offer Yoga Alliance certified Hot and Flow yoga trainings for 250 or 500 hours as well as 3 & 6-day yoga intensives. Founded by husband and wife team, Mark Drost and Zefea Samson, Evolation Yoga is a worldwide collective of passionate yoga teachers and yoga studios collaborating in unity to create a global yoga community where all are welcome. Visit any one of our independently owned affiliate studios around the world and join us for our yoga teacher training's, retreats and workshops all throughout North America, South America, Asia, Europe and Australia. "Evolation's Hot Teacher Training was AMAZING! The owner of the studio where I am teaching now was thrilled with my readiness to teach the day I arrived home. Top notch!!!" "I go home to teach with not just knowledge of Asana (yoga postures) but a far deeper understanding of the true essence of yoga. I am blessed to have found such a wonderful yoga family with Evolation and how they create space for me to continue to grow. This isn’t just a company making money selling yoga, but a true family sharing love and knowledge in the purest way. I am reminded of WHY we teach yoga… to help people to connect to the highest version of themselves, to become healthy in body, mind and spirit." 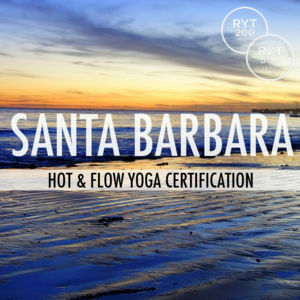 "I attended the 500 hr teacher training in Santa Barbara. I can say that about 4 years later this training is deeply ingrained in me and my teaching. Mark and Zefea along with all the other highly skilled teachers gave us the tools to start our teaching journey, but much more beyond that. We lived closely together, practiced the series along with other forms, we were disciplined, fed incredibly healthy meals, and were taken good care of. I am thankful everyday for this training for my practice, for my teaching, and for the lifelong friends I made. To say it was a life-changing experience is an understatement!" "My yoga teacher training with evolation was absolutely incredible. 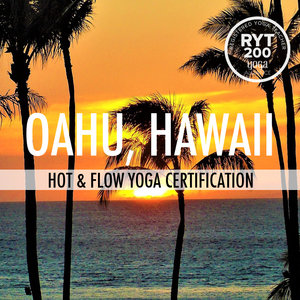 I trained with an amazing group of people and the synergy of everyone together studying, teaching, practicing yoga created this really beautiful vibe that inspired growth and self- exploration. I feel I received so much more than I paid for! It’s hard to describe in words how significant the experience was to me and it feels strange to even try. Just give them a call and you’ll understand." "Evolation’s training meets the definition of inclusive and comprehensive.- Teachers don’t just lecture they include students in the training sessions. In short, they know their stuff and love teaching others about this thing we call yoga. Students become uplifted and form a tight bond and because the groups are so small you will become an instant family and learn more about yourself than you ever thought possible." "To me, the most valuable parts of the training were practice teaching sessions and yoga philosophy lectures. Practice teaching was uncomfortable, nerve racking, and ultimately exceptionally rewarding. Yoga lectures opened my eyes to the history and philosophies of yoga and suddenly my practice, my desire to teach, and the inherent ideas I had been having since beginning to practice, all clicked. Every aspect of training provided so much valuable information for an aspiring teacher." Ready to expand your yoga practice with us?